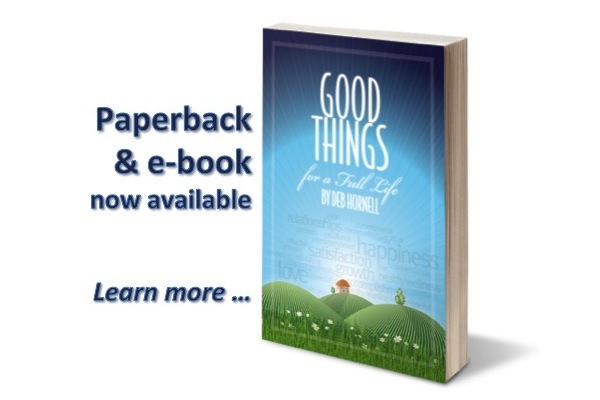 Deb Hornell’s book, Good Things for a Full Life, launched in paperback on January 26, 2013. The e-book is now available for Kindle and Nook. Learn more. Welcome! Deb Hornell and team are thrilled that you have found your way to this website. Please look around to learn about the Hornell Partners consulting business, Deb and her leadership philosophy, and Good Things for a Full Life—Deb’s first book, slated for publication in January 2013. Most of all, we urge you to leave a comment, either here or on the Deb Hornell Facebook page. After all, it’s all about relationships, isn’t it?